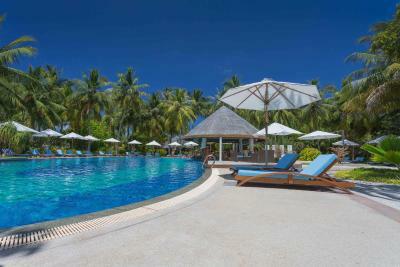 Lock in a great price for Bandos Maldives - rated 8.7 by recent guests. Snorkeling very good ， clear water. Snorkeling guide very good and friendly. The breakfast spread was good and delicious. 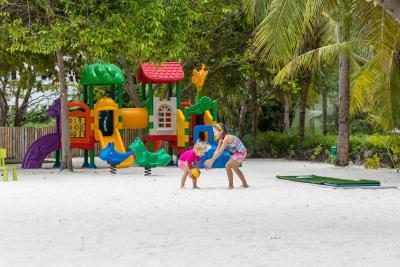 Amazing friendly staff Location is perfect for families with small toddlers. Kids' club and babysitting available for under 2 year olds. The Staff was great! Always with a smile on their faces. The beach was beautiful and the sand was amazing. Room was very clean and the food was delicious. The island is lovely and everything was perfect. The service, amenities and food were all incredible. The whole experience was absolutely wonderful. The staff were friendly and went out of their way to help with anything and everything. The food was amazing - so much choice and it changed daily. We opted for all-inclusive and it was superb for choice of drinks. I loved it so much, Ive booked again!! Island and nature is beautiful. 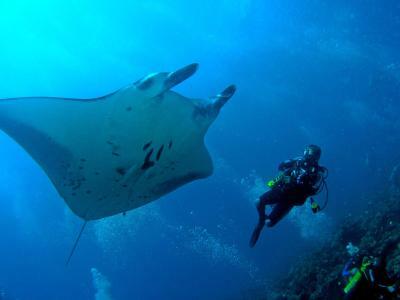 Undersea life is great because of coral reefs close to the island. The sunset in the Hovaya restaurant amazing. Having your drink in a sunset such like that was a precious moment for us. Only a 30min speedboat to the Island. 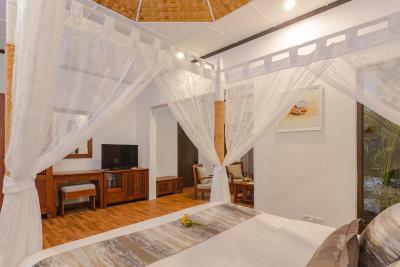 Check in was smooth and beach villa was as per the description on booking.com. Staff were wonderful in the main restaurant - waiters, chefs and hostesses at entrance. We went all inclusive and there was plenty food and drink selection, more than enough choices to satisfy most guests. 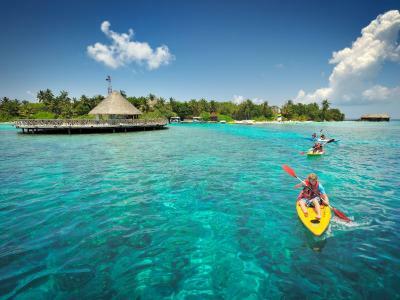 Beautiful island with house reef and beaches, perfect for snorkeling. 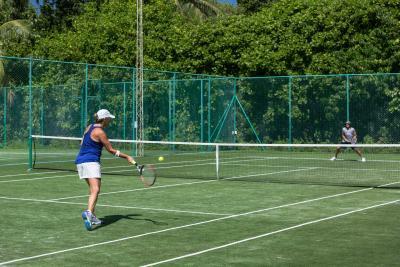 A lot of paid activities to choose from, sometimes a little bit overpriced. We had all inclusive, the food in Gallery restaurant is really average, much better food in for example the Huvan restaurant. Nonetheless take all inclusive if you plan to order drinks, otherwise it's like 15$ for a drink :) Rooms are outdated, but the again I guess you shouldn't expect more for this price. Generally rooms and the island is very clean, they really care about it. 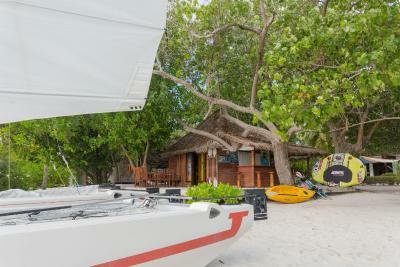 One of our top picks in North Male Atoll.Bandos resort is a private island located 8 Km away from Male. 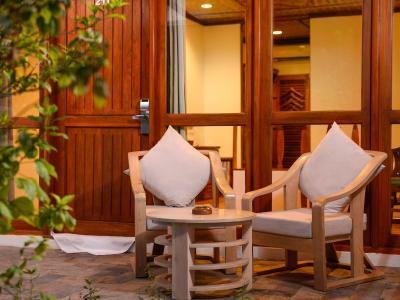 Bandos Maldives features spacious rooms with balconies overlooking the garden or beach. 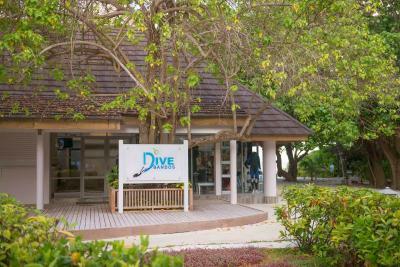 A water sports centre and dive school are available. The hotel has multiple dining options. Free WiFi access is available. 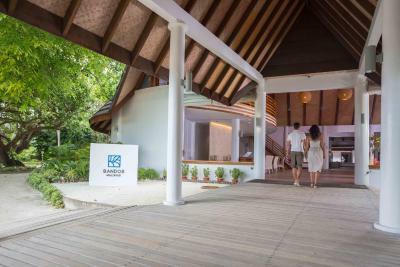 Bandos Resort is ideally situated on North Male' Atoll, just a 10-minute speed boat ride from Male International Airport, which is 7 Km away. 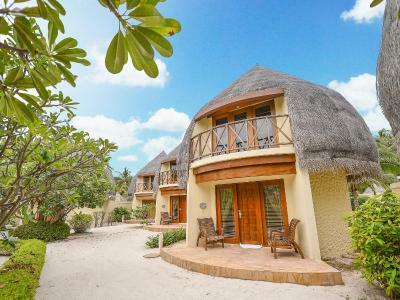 Bandos’ rooms and villas are surrounded by nature’s beauty, some featuring high thatched roofs or wooden décor. Flat screen TV with cable TV channels are available. 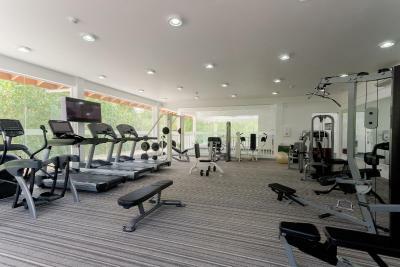 Tea/coffee makers and minibars are provided. Some feature separate living rooms or outdoor hot tubs. 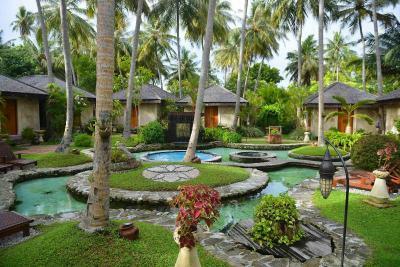 A pool with swim up bar is available, while beauty and massage treatments are available at the resort’s spa. 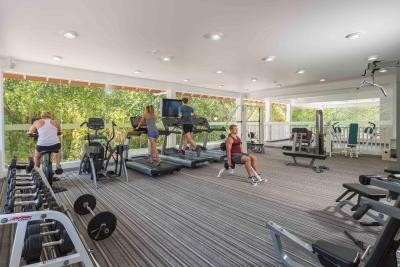 Club House offers a range of fitness activities including a gym, aerobics, badminton, tennis courts, squash and table tennis. 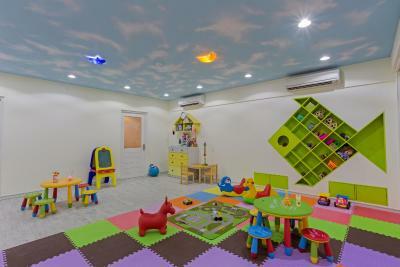 Kokko Club offers babysitting services along with a range of programmes for the little ones. Union Pay is available here. Authentic Thai cuisine can be enjoyed at Koon Thai restaurant, while Sea Breeze Café offers Western and international food by the sea. A wide range of buffet foods can be savoured at Gallery Restaurant. 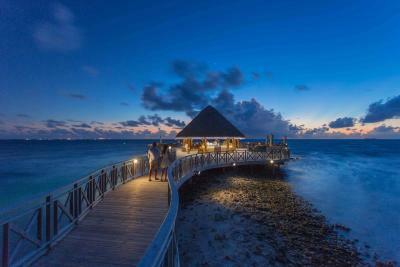 Huvan and Sand Bar provide lovely tropical settings to enjoy cocktails and live entertainment. Chinese options are available for breakfast. Umi Yaki restaurant serves Japanese Teppanyaki food. 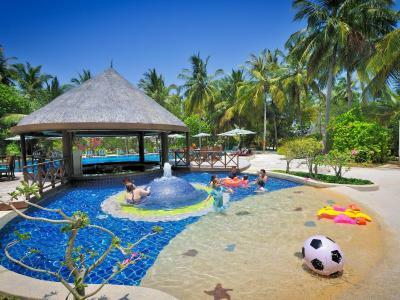 Bandos Maldives has been welcoming Booking.com guests since 12 May 2010. 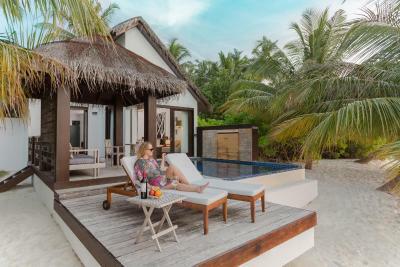 When would you like to stay at Bandos Maldives? 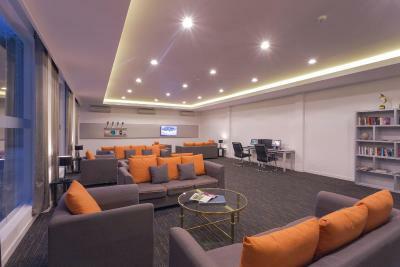 Rooms are equipped with a tea/coffee maker and minibar. 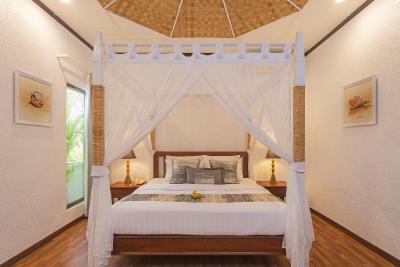 Large room features a separate living room and offers a bathroom with bathtub and shower. These lovely wooden chalets offer pool views. 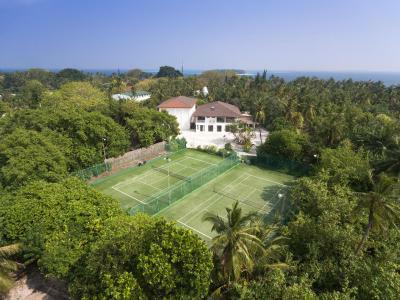 Beachfront duplex-style villa offers sea views. 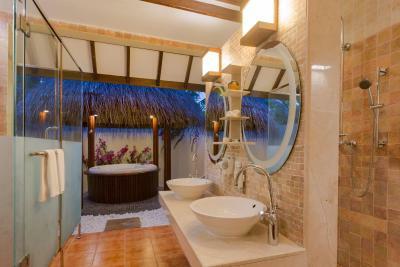 A hot tub and shower is included. This double room features a balcony, electric kettle and minibar. This twin/double room has a balcony, minibar and sofa. 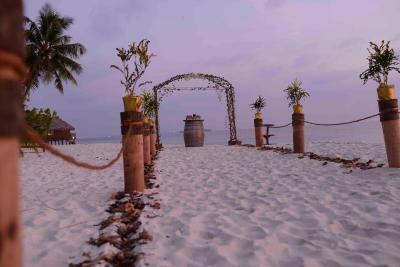 The island of Bandos is a perfect setting for that romantic getaway or those two weeks of bliss away from work. 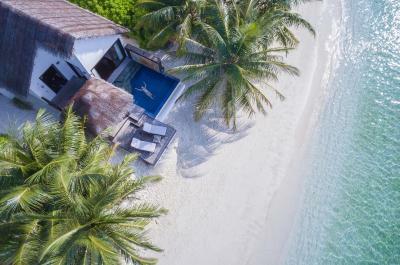 Bandos Maldives was the second island to open as a resort back in December 1972. 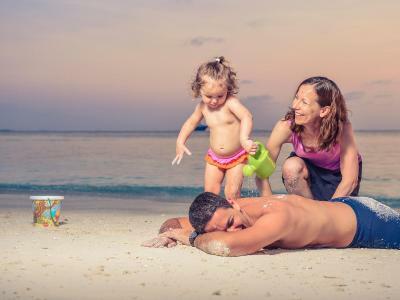 Bandos Maldives is great for diving as well as family getaways. 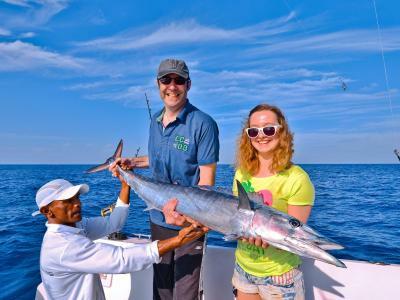 Providing our guests with the best possible hospitality and service has been our mission. 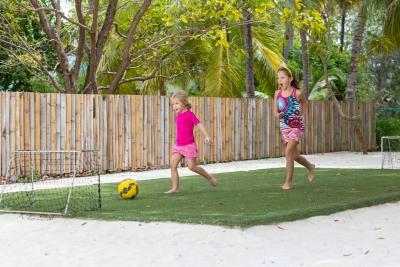 House rules Bandos Maldives takes special requests - add in the next step! All children under 12 years are charged USD 63 per night for extra beds. 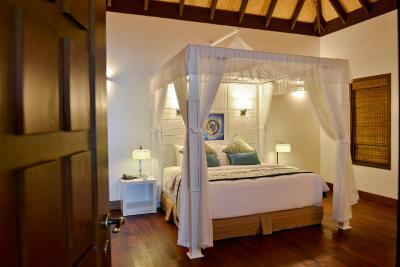 All further older children or adults are charged USD 94 per night for extra beds. 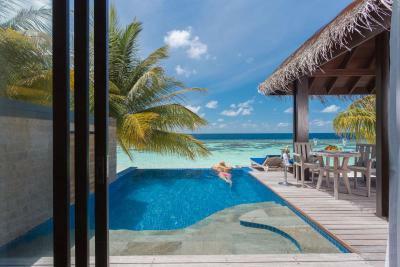 Bandos Maldives accepts these cards and reserves the right to temporarily hold an amount prior to arrival. 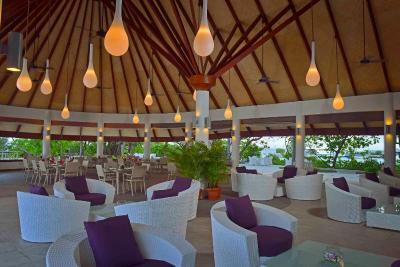 - Breakfast, lunch, and dinner are served at the Gallery Restaurant with selected beverages. 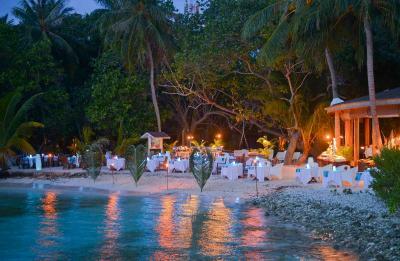 - Selected beverages are served at Sand Bar, Pool Bar and Huvan. 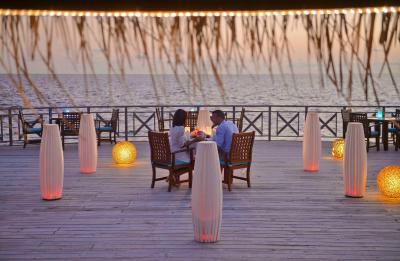 - Evening tea is served at Sea Breeze. 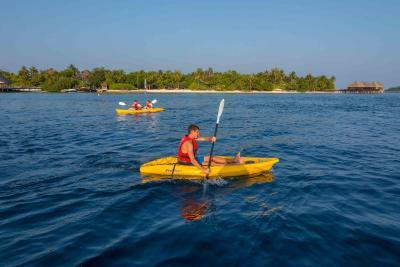 - Windsurfing and canoeing; maximum 02 hours per person per day. 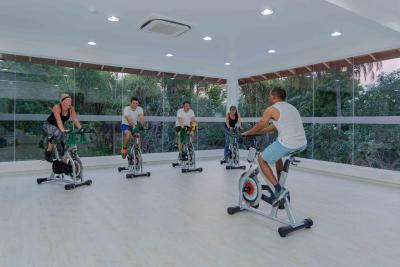 - Sports and leisure activities at Clubhouse are subject to availability and the time of booking. 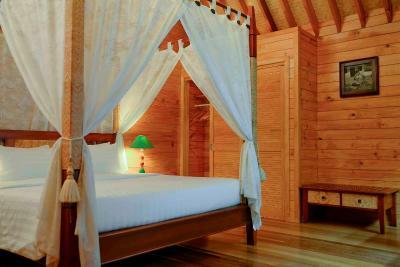 Bed & Breakfast clients: USD 167.55 per person. 50% discount for children. 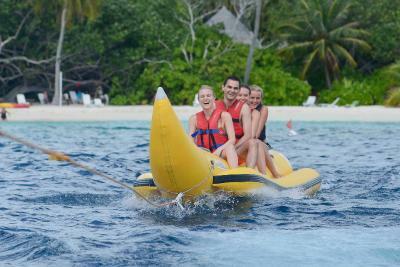 Half Board and Full Board & All Inclusive clients: USD 137.98 per person. 50% discount for children. 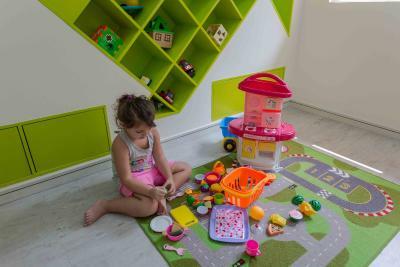 We had a great stay overall, but in a few instances you realise that it's a bit on the budget side. The food variety is just fair and restaurant choices limited. The swimming pool especially the kids pool is quite small - can get very crowded. Our room was very low quality. We do not bother having old furnitures and always prefer natural stays but the cleanliss and maintenence was very low and below the standards, even we asked for assistancy for upgrade room information it was not noticed and no helped received.No availibity is the only answer. The 3rd night we had big cockroach visitors followed by the next night. It is not a normal bugs visit you will have in an island, obviously room not cleaned probably and they had a nest. Our room is changed after our very very long insistence. Guest relation is very poor and unfortunately the feeling of hospitality is missing. Catering for children was limited in the main restaurant - needs a kids menu or food options suitable for kids. We'd asked for a late check-out before starting our stay and although the resort did not grant our request, we found out once we were there that we could use the facilities after checking out of our room. If we'd been told of this when we requested the late check-out, we would not have needed to book a one day stay in Male City, which cost us quite a lot of money unnecessarily. 1) outdated rooms, need renovation 2) waiters in Gallery Restaurant, they don't care at all. You order a bottle of water and need to wait for it 20 min or more. The staff is not respectful of their guests. They charge us for the bottle water that we didn’t drink. They wanted to make us pay for the lunch that we have already paid. Generally speaking, not worth of stars. The location is good with abundant marine life though most corals are dead. Maybe they should focus a little bit on the cleaning. Th Staff were amazing, facilities also very good. Overpriced, especially with the tourist taxes. WiFi was practically non existing, we were unable to book our flight back online; stuff was telling you stories of temporary problems with internet only , it wasn't the case unfortunately. A/C was working very poorly and 2 nights we were unable to sleep. Some of the stuff has altitude, like the person who did the check out for us at 19.00 on April 6th. Most of the music in the bars were very depressive. Most of the stuff is really friendly. 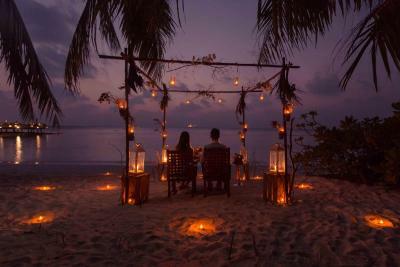 There are 360 beaches everywhere, some of them really small where you can get privacy.